FC Barcelona manager Ernesto Valverde, called for all the fans to visit them at Camp Nou for the Copa del Rey second quarterfinal leg vs Sevilla. The upcoming Copa del Rey match between FC Barcelona and Sevilla will be a thriller at Camp Nou, manager Ernesto Valverde is hoping for all the fans to pay their visit to the stadium and support the squad. 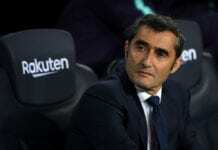 There have been a lot of fans who publicly have blamed the boss for the first leg’s result at the Ramon Sanchez Pizjuan, in which Barcelona lost the match 2-0 after Valverde decided to leave Lionel Messi at home instead of calling him up for the game. But the manager is convinced that making this decision will pay off during the final stages of the season in other competitions such as the UEFA Champions League, the tournament that all Barcelona fans are craving to win again and haven’t been able to enjoy since 2015 when they last won the treble. Plus, the manager is still confident that Lionel Messi will take them out of this problem for the upcoming match on Wednesday at Camp Nou Stadium. Both the Argentine and Gerard Pique have already made the call to all the fans for support, they all think they have a greater chance of winning if they get the backing from all the Barcelona fans. Even though it may have seemed like Pique and Valverde himself were throwing away the competition after the last defeat, the manager wanted to remind everyone that he doesn’t think that in the slightest and his players will do everything in their power to get that victory at home. The Catalan club is one of the only squads in the world that can actually afford to win titles by only winning all their matches at home, they can have that luxury because they have Lionel Messi to support their claim for any trophy but La Liga. 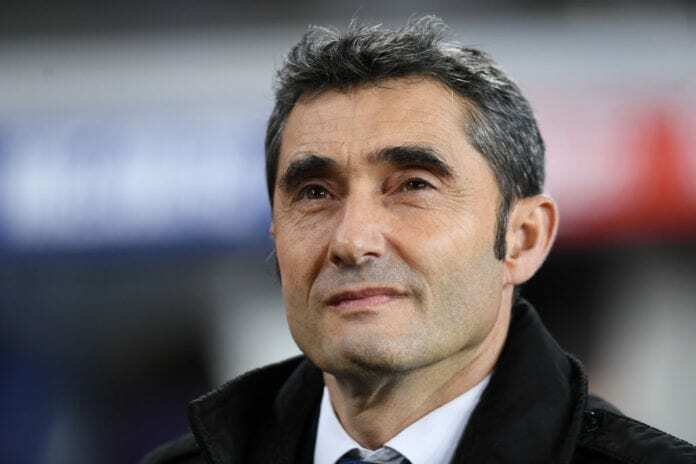 Manager Ernesto Valverde has finally understood this detail after one year of not being able to compete for the Champions League, this happened once he realized that he needed the Argentine well-rested in order to perform better in the most crucial continental tournament matches and having him play all the Copa del Rey games was going to affect him in all the other competitions. Barcelona has La Liga pretty much in their pocket, this means that they can already focus on the other competitions and the Copa del Rey from this Wednesday is the most immediate assignment they have to attend. “It’s clear that this match is a challenge for us due to the way the result left us last week, we didn’t get a good one over there and we have 90 minutes left to turn it around,” said Valverde via Mundo Deportivo. 💪⚽ Getting ready for @SevillaFC_ENG ! What do you expect from the Copa del Rey match between FC Barcelona and Sevilla on Wednesday? Please share your opinion in the comment section down below.